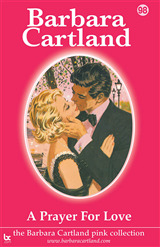 The Russian Interpreter is a story about Raya, a mercurial Moscow blonde who speaks no English, and the affair she is embarking upon with Gordon Proctor-Gould, a visiting British businessman who speaks no Russian. 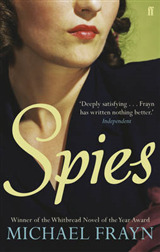 They need an interpreter; which is how Paul Manning is diverted from writing his thesis at Moscow University to become involved in all the deceptions of love and East-West relations. After the death of Stalin in 1952, the Soviet Union opened its doors to the rest of the world and Michael Frayn was one of the first foreign students to enter the country. 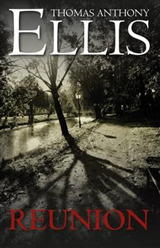 Drawing on his experience at Moscow University in the late 1950s, he brilliantly captures a country still recovering from the Second World War, racked with suspicion and intrigue, at once harsh and easy-going, lethargic and labour-intensive. Michael Frayn is the celebrated author of fifteen plays including Noises Off, Copenhagen and Afterlife. 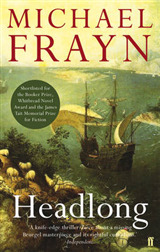 His bestselling novels include Headlong, which was shortlisted for the Man Booker Prize, Spies, which won the Whitbread Best Novel Award and Skios, which was longlisted for the Man Booker Prize. 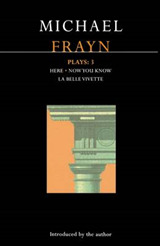 Frayn Plays: v. 3: "Here"; "Now You Know"; "La Belle Vivette"